The American Gold Eagle proof, the limited-edition version of the bullion version of the same name, reveals the meticulous minting for which the U.S. Mint has become known. Only a limited number of these coins are minted each year, and they have the highest of production standards and immaculate presentation. The American Gold Eagle proof, the limited-edition version of the American Gold Eagle bullion coin, reveals the meticulous minting for which the U.S. Mint has become known. Only a limited number of these coins are minted each year in the U.S. Mint’s West Point, NY location, and they have the highest of production standards and immaculate presentation. Stamped multiple times with special dies and polished to achieve a mirror-like finish, the coins are never touched by human hands and are delivered in a lovely velvet casing with a Certificate of Authenticity. The 1985 Gold Bullion Act, signed by Ronald Reagan, required that these magnificent coins be sourced only from U.S. gold. Coins struck between 1986 and 1991 use Roman numerals for the date, and starting in 1992, the coins were stamped with Arabic numerals (as is all U.S. currency). 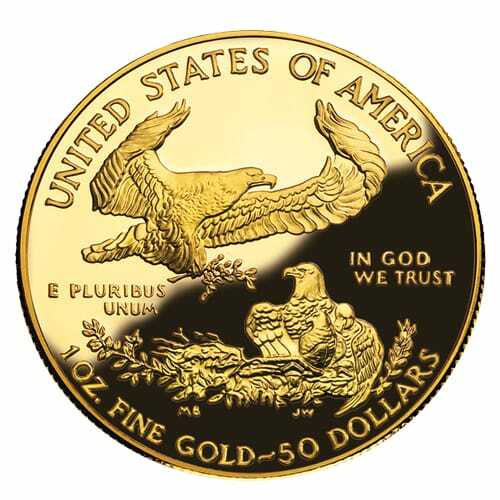 The American Gold Eagle bullion coin is another version of this coin, however, without the same production standards or limits on production. Both versions of the coin can be purchased for physical possession or to place into a Precious Metals IRA. 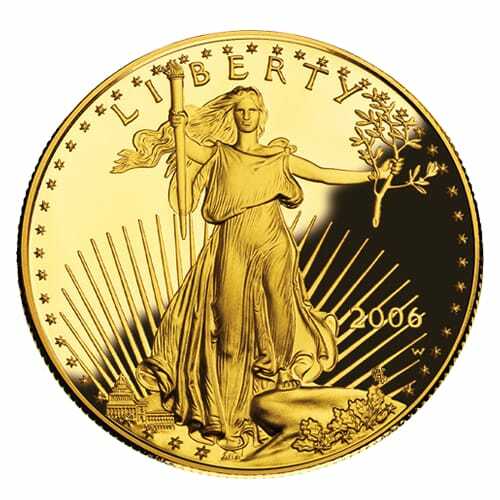 To learn more about American Gold Eagle (proof) coins and to get current pricing, please call us at (800)355-2116.